I’ve been in love with preppy style for as long as I can remember but these days when I do preppy–I need it to be bold, funky, and feminine all at once. 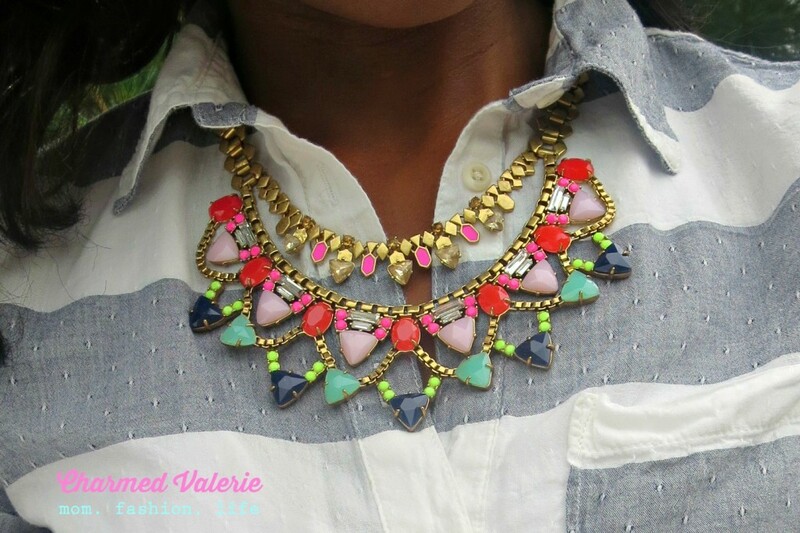 Is this necklace everything or is it EVVVERYTHING?! *I bought this shirt recently from a Target store but am unable to find the exact shirt online. I’m pretty sure it’s this style but the print isn’t available online or something. ** This color of Pilcro Stet roll-up shorts from Anthropologie is no longer available but this style is my fave. For more Outfit of the Day inspiration, check out my What I Wore posts. Linking up with What I Wore Wednesday. Hi Valerie, I am Ada. I found you through the link-up and I am glad I stopped by. What a gorgeous colorful outfit you created with your shorts. It is sporty, casual, yet put together. That necklace is everything – I love it. I also love the Target Shirt & Converse Sneakers. 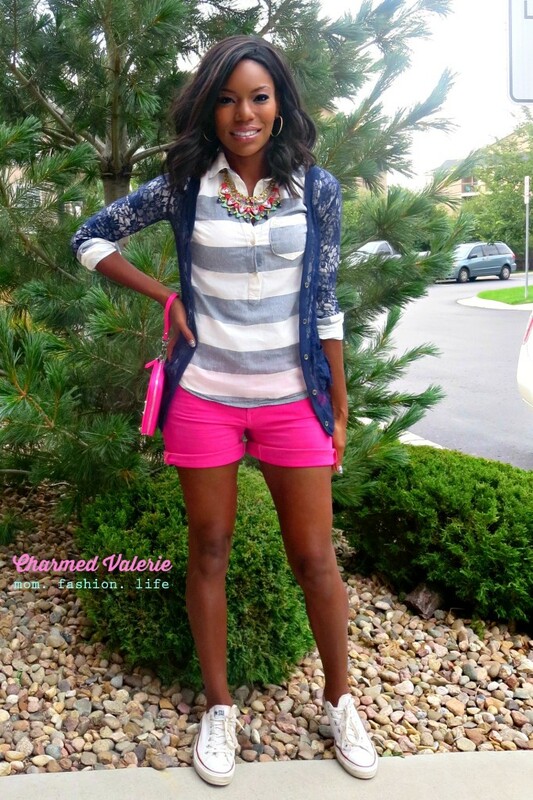 Love this look fun and preppy!